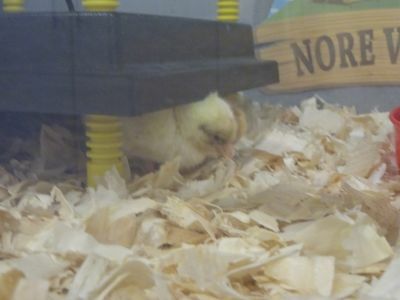 Nore Valley Pet Farm recently visited the school with their ever popular ‘School Incubator Project’. This is the second time Firoda N.S. has undertaken this project and we were delighted to participate once again. An educational talk was delivered to the boys and girls about the development and life cycle of a chicken and the hatching process. The children eagerly awaited the arrival of the chicks and kept a very watchful eye over proceedings each day. Pictured is one of our five little arrivals exploring! Unfortunately, we had to say goodbye to our five new friends last Thursday as they departed for their new surroundings at Nore Valley Pet Farm. Each child received a voucher which entitles them to visit the chicks at Nore Valley and see how they are adapting to their new home.